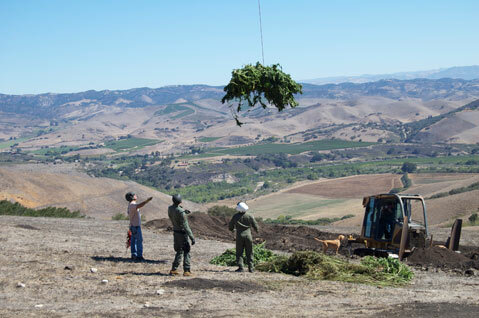 Santa Barbara Sheriff’s Office personnel along with members of the California National Guard removed approximately 4,000 illegal marijuana plants growing on private land along Santa Rosa Road between Lompoc and Buellton. The plants, which had a street value of around $12 million, were discovered by the landowner when he spotted people trespassing on his property and found they had diverted livestock water to grow the cannabis crop. No one was arrested during the eradication on August 29, and the case is under investigation.